This Whole30 recipe is one of my favorites and it is certainly one of the easiest. 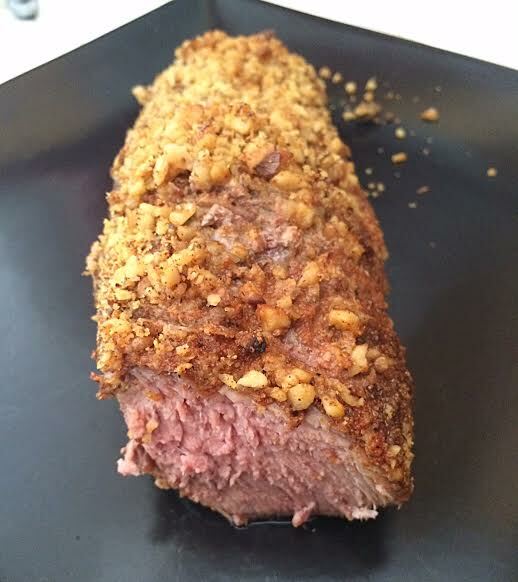 Just the tenderloin, some dry spices and walnuts and BAM! Perfection. The above photo is from The Whole30 cookbook but this is my photo. Not too shabby. I don’t have all the fancy lighting and plating skills that I’m sure they used but for this recipe, you don’t really need all of that. The recipe is below, all from The Whole30 book, but I do want to mention something important. The recipe states that the tenderloin is done when the internal temperature reaches 145 degrees F.
For this cut of meat it is very important to go off of the internal temperature for doneness rather than the cooking time. 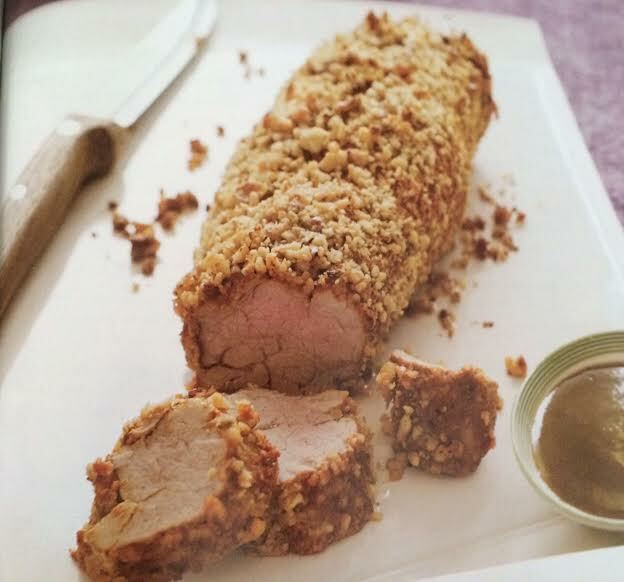 It is very easy to overcook pork tenderloin so trust the thermometer more than the time that has passed. Remove the pork from the refrigerator approximately 30 minutes before cooking. Pat the tenderloin dry with a paper towel. Mix the Mustard Powder, Paprika, Onion Powder, Garlic Powder, Salt and Pepper in a small bowl. Rub the pork evenly with the spice mixture. In a food processor or by hand, pulse or chop the walnuts until finely chopped. Coat the pork evenly with the chopped walnuts. Place the tenderloin in a baking pan and cook for 25 to 30 minutes, until the internal temperature is 145 degrees F.
Let the pork rest for 10 minutes.